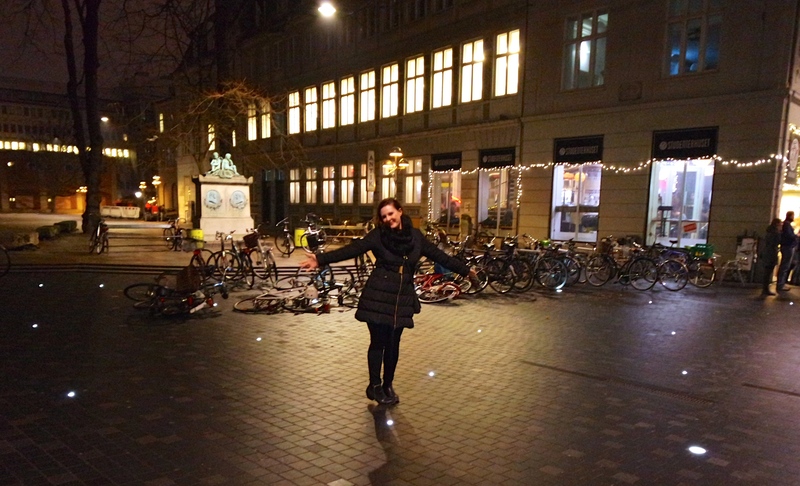 The streets of Copenhagen were full of lights – tiny, sparkling, circular spots that led the way through the colorful town. They were meant to guide the bike riders through the night, but in my red wine haze, I excitedly told James, my dear (and cheeky) British bestie: People say that New York’s streets sparkle, but these really do! He rolled his eyes at me and took another puff of his cigarette as I rushed ahead to match his quick pace, hooking his arm to slow him down. We had just finished a three-course Valentine’s dinner, along with celebratory champagne and a bottle of wine, and we were making our way back to our hotel to drop off the rose I found along the way. Do you think someone lost it? I asked James with concern, to which he said: No, I put it there for you. Take it, silly! You’re right. We both need that because we both did that. We figured out how to fly, how to leave home and then we flew to New York, I said, smiling at the simplicity. We vowed to return to the gallery the following morning, both satisfied that we found something symbolic to take back home to remember our trip. Postcards and keepsakes are nice, but something that captures a moment when you’re traveling always means so much more. What we didn’t know was that evening, a few hours later after bar hopping around the city, we would walk back to our hotel, only to be turned away by the police: All streets in this area are closed. We don’t know when it will be safe. At least another four hours. The shooter in Copenhagen had been spotted at the Nørreport train station, a mere two blocks away. And the synagogue, where a man was shot earlier that day, was less than a block away. With our passports tucked away in the safe in the hotel we couldn’t get to, nothing to wear but the fancy clothes we wore for our dinner… we went into traveler mode. And though it wasn’t the type of flying that we did when we chased our dreams to another city – or for James, another country – it was the type of flight you take when you travel. Because when you’re in a beautiful, yet unfamiliar, place far, far away from the place you rest your head, you learn to think on your toes. You learn to become light. You learn to let the experience guide you instead of mapping the road ahead. In this case, we were lucky enough that a Tinder match – yep, you read that right – that I was flirting with all night was kind enough to offer his couch for the evening. (Complete with phone chargers, a pull-out bed and water. And perhaps a kiss or two from me.) We made it through the night, a bit sleepless and worried, grabbed a 70 kroner (about $11) taxi back to our hotel, slept for a few hours and went out to tour the city again. 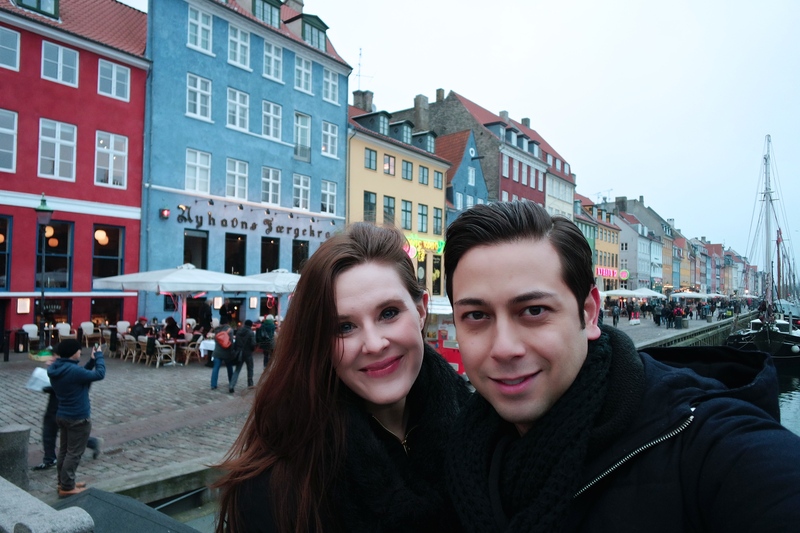 Because we came to Copenhagen to fly… regardless of what happens along the way. It’s not that I stopped taking chances in the last few years, it’s that I finally built a life in New York. One with stability and friendships, love affairs and writing gigs. Everything that I had worked so hard for, all of those things that I dreamed of decades ago were finally in sight, or already here (well most of ‘em, anyway). What I didn’t realize as that precocious 15-year-old that starting saving up her pennies to live in The Big Apple, was just how big the world was. And just how much I might fall in love with another city, another country, another place. Another life to create. And so for a while, I stopped that dreaming. I didn’t think too much ahead of the right-now, the next byline, the next apartment, the next paycheck, the next Manhattan night filled with dirty martinis and flirty glances with guys I never end up talking to. I considered my next race, how I’d lose weight, how much money I’d save, what I’d do for dinner next Friday night. I tried my best not to imagine the adventures I wanted to go on with someone I loved – be it a man I’m dating or a best friend – because it seemed too unreasonable. Too far-fetched. Not in the current course of events. But when I landed in Paris last April, exhausted and so full of excitement I could barely stop myself from jumping up-and-down in Charles De Gaulle – I started dreaming again. I dreamed while watching an elderly couple help one another down the stairs at Montmartre, in the smirk of a devilish Italian who loved my eyes, while lounging in an unknown garden near the River Thames and then again, when we went back to the Galleri Kalhoj to meet the artist and buy our pictures. I had gone to Copenhagen hoping that the Scandinavian’s sign of love on Valentine’s Day would happen to me: if you see a bird on February 14 then love is about to find you. And though James and I saw many pigeons that day, we concluded that maybe… those weren’t quite what the Danish meant. (I’m not sure I want the kind of love that pigeons embody, eh?) But we did see the bird on our prints, and so being the ever-inquisitive person I am, I asked about it. 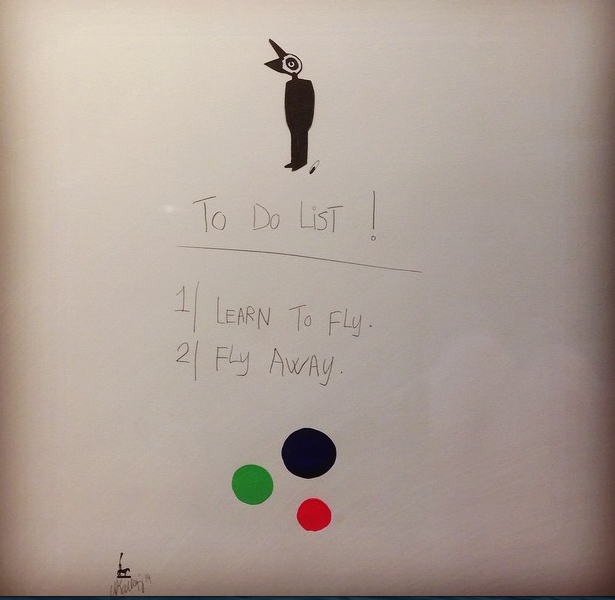 The artist, Martin Kalhøj, explained: When I was a little boy, I knew that I could fly if I tried hard enough. I could jump off and go away, high into the clouds. But then I got older and realized that I couldn’t actually fly, that I needed to stay on the ground, I needed to build a life. To be a man. And so my symbol on these pictures is the bird on the top, a man on the bottom. Because even if we must – and we should – stay grounded, we must not forget how to fly either. We can’t forget to still be creative and dream. Perhaps I didn’t see a real bird, and maybe, love isn’t on his way, but with some more stamps on my passport (and eyeing a trip to Spain in August), the clever words of a talented painter in my mind – I’m learning to fly away. I’m learning that no matter how far away you go, there is always a home to come back to. Especially the home that’s built of strength inside of you. There are always your two feet on the ground that can carry you anywhere you set them out to take you. And though my home may be in New York for now, I know in my heart that there are so many other places that I could be happy. Happier, even. As James told me our last night in London, walking from the underground to his flat in Aldgate East, You already flew away once, Lindsay. You can do it again. This entry was posted in Travel and tagged adventure, copenhagen, denmark, England, Hope, Life, london, Love, Travel, traveling, valentine's day. Bookmark the permalink. Get LoveAddict in Your Inbox! Like Love Addict on Facebook! It's hard not to give up on love - or yourself. If you need a reminder of why you're awesome (you are) and that there are some good guys out there (they're are! ), sign up for the Daily Love email from Lindsay.